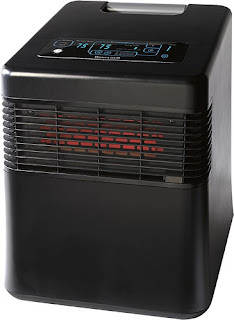 Today ONLY - Honeywell - MyEnergySmart Infrared Heater - Black $169.99 (Retail $249.99). Keep the cold away with this Honeywell MyEnergySmart HZ-980 infrared heater, which features 2 MyTemp settings, 3 continuous heat settings and a programmable thermostat for customized comfort. Touch-screen digital controls help simplify operation.